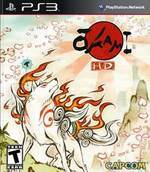 Some PlayStation Move gripes aside, Okami HD should still be on any gamer’s purchase list. The true vision of the creators has seemingly been realized, in glorious 1080p high definition. Everything looks great, and the game still plays well. If you haven’t yet played this captivating, artful title, you owe yourself the service. For only $19.99, a wondrous adventure awaits. With updated graphics and a campaign stretching 30 to 50 hours, all for $20, this is a steal for anyone looking for a game that takes a lighthearted approach to the Legend of Zelda formula of dungeon puzzle solving and land exploration. Okami HD is a great example of what games can accomplish outside the realm of guns and gore, and I love it for that. 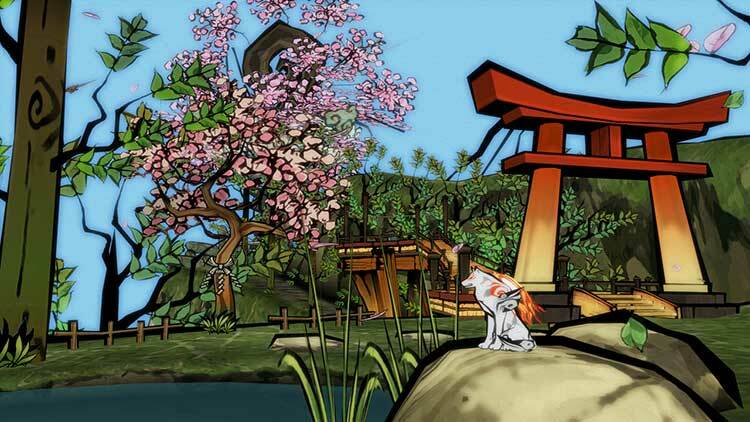 Okami HD is the definitive version of Okami. It has the best graphics, fewest bugs, and most responsive controls if you are using a DualShock. It runs perfectly in widescreen 1080p without a hitch. At a budget price of $19.99, there’s little reason not to pick up this game, especially if you haven’t played the original. Okami is one of the finest games to come out of Japan in the last decade, and Okami HD is absolutely the best way to experience this epic adventure. Its re-release is rather timely too, given Japanese game publishers are currently preoccupied with creating games that will appeal in the West. 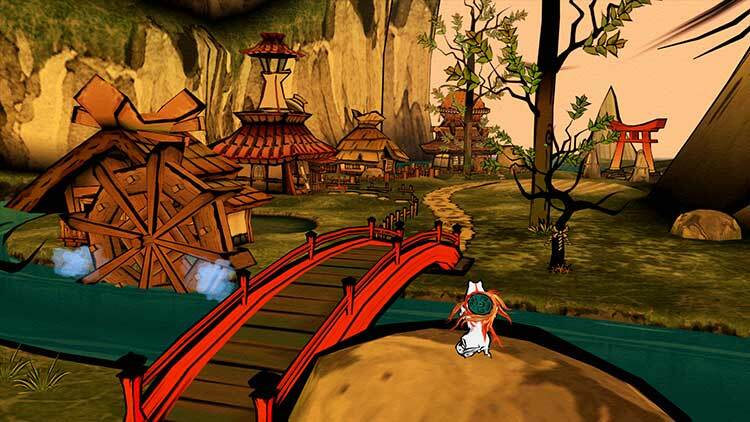 Okami, in contrast, represents a pure, resolutely Japanese vision, and is all the more appealing for it. Okami HD is an incredible value, offering absolutely gorgeous visuals, fluid Zelda-like gameplay, and an intriguing story filled with Shinto lore to boot. It remains one of the best games on the Playstation 2 and can now be considered one of the best games on the Playstation 3. Capcom broke out their calligraphy brush and created a masterpiece that, while shows some signs of aging, remains an awe-inspiring experience like no other. Those few minor gripes aside, Okami HD is the definitive version of one of the past decade's premier games and absolutely deserves to be played. Whether you've experienced it before or have yet to do so, do yourself a favor and pick this up. 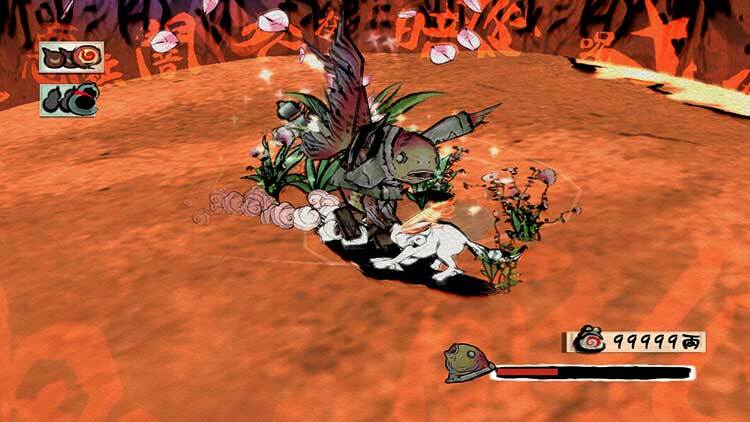 In Okami, your god is an animal, with an animal's simplicity and wildness and connection to nature. You exist both above and below the human characters in the story; you walk among them unrecognised even as they praise you. Talk about a state of grace. This is a very different kind of deity for a game to present, one with a deeper connection to ancient myth than any God of War, and playing the part is utterly beguiling. Okami HD is a timeless classic, full of charm, subtle ingenuity, and beauty, remade in stunning HD, yet sadly it's embellished with some graphical issues. It's a must-have for first-time buyers, but offers little improvement for those who have already enjoyed all 40+ hours of the game on other platforms. 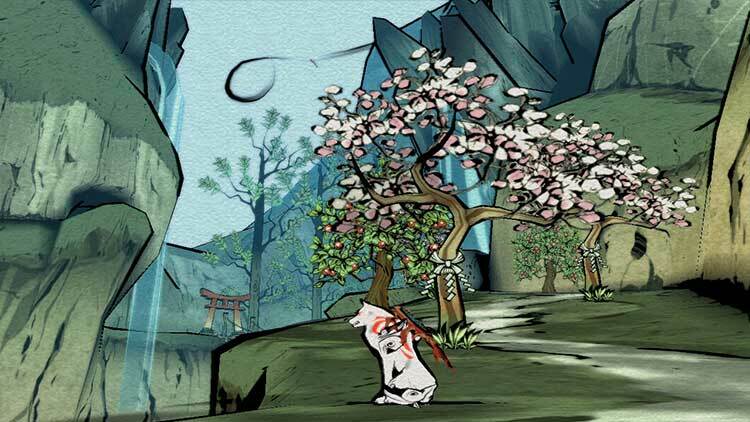 Aun sin grandes innovaciones, Okami HD sigue siendo una aventura inolvidable e inimitable. Aquellos que jugaran a la original puede que no encuentren suficientes motivos para repetir, pero los poseedores de PS3 que se perdieran el clásico de PS2 DEBEN jugar a esta aventura, y más a ese precio. Seguro que se les queda grabada para siempre. Este es sin duda, el mayor regalo que Clover le hizo a su obra: El regalo de convertirla en algo único que siempre estará ahí, que siempre conservará su belleza remasterización tras remasterización, porque la magia de todos los elementos visuales, jugables y sonoros fue confabulada para tal fin. Para aguantar por siempre el paso de las generaciones, igual que lo hacen las leyendas. Es ist die Art von Spiel, die uns die letzten Jahre fehlte. Mutig und gleichzeitig konservativ. Eine Idee, etwas Neues und Magisches zu schaffen ohne dabei auf ganz traditionelle spielerische Qualitäten zu verzichten. Es gab diese Generation praktisch nichts, was sich mit Okami vergleichen ließe. Es erinnert uns daran, dass es eine Zeit gab, wo Mut zu Ideen im Design auch in ganz "normalen" Spielen einen Platz hatte. Définir Okami revient à le targuer d'une foultitude d'adjectifs tant l'aventure proposée est élégante, apaisante, poétique, délicate, gracieuse. Ayant aussi bien soigné le fond que la forme, Clover a créé une pièce maîtresse dont il convient de saisir toute la portée. Aussi trépidante qu'intelligente, aussi originale que généreuse, aussi drôle que sincère, l'oeuvre en question surprend, enchante, amuse et marque la rencontre de développeurs avec leur public. Les années passent mais la magie opère toujours avec autant de grâce. Avec cette relecture du titre original en haute définition, Okami HD n'a jamais été aussi proche de la perfection ! Mettez un peu d’enfance, du rêve, des passions humaines et vous obtiendrez Okami, un jeu qui sans conteste mérite les plus grandes ovations de la presse mais surtout du public. Pur non offrendo chissà quali effetti spettacolari o quali roboanti situazioni di gioco e presentando un livello di sfida sia nei puzzle che nei combattimenti non troppo elevato, il titolo Capcom non sembra risentire più di tanto del peso degli anni e anzi, grazie a una componente grafica artisticamente sontuosa, a un gameplay sopraffino e a una trama non particolarmente complessa o intricata, ma egualmente capace di coinvolgere il giocatore come poche altre, merita di diritto di entrare a far parte della collezione videoludica di ognuno di noi. Missione riuscita quindi? Assolutamente sì. Se possedete un PlayStation Move dategli una possibilità nonostante i suoi controlli non siano i migliori in circolazione, mentre per tutti gli altri l'acquisto rimane, ora come allora, un obbligo senza possibilità di obiezione. 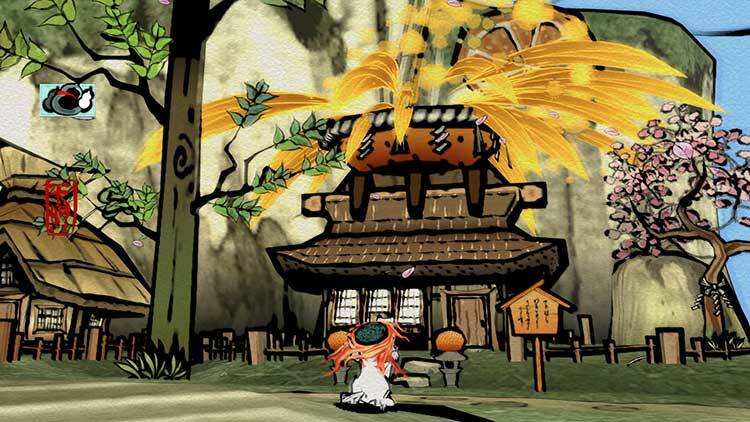 Che siate dei veterani o dei novellini che non ne hanno mai sentito parlare, Okami HD rappresenta il videogioco nella sua incarnazione più pura e splendida, nonché un inno al Giappone e alle sue incredibili sfaccettature.